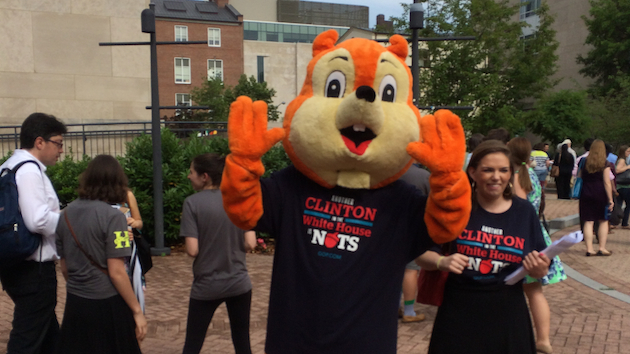 Hillary Clinton has been keeping busy of late, criss-crossing the country on a book tour to promote her autobiographical memoir Hard Choices. 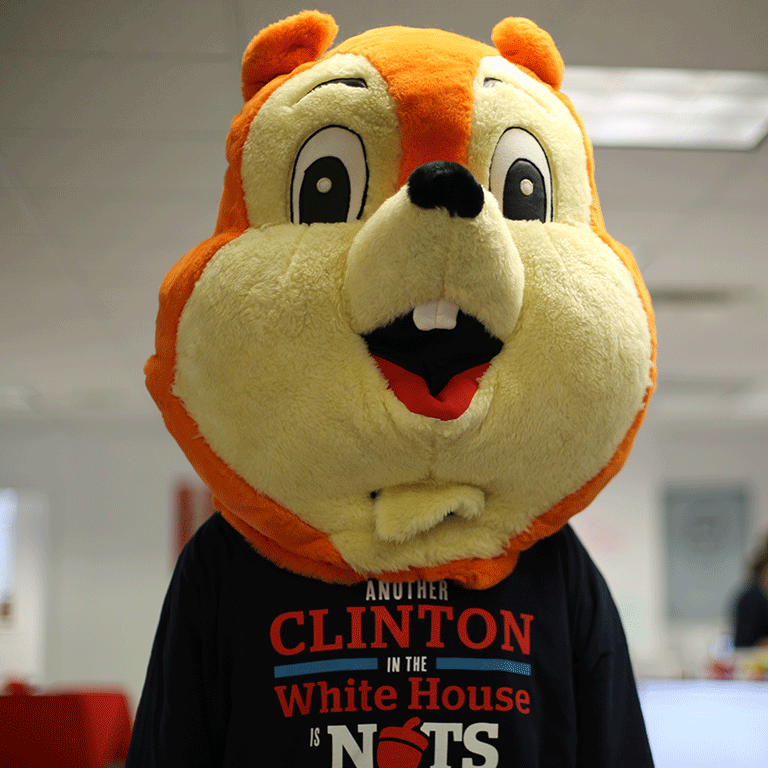 However, one hard choice that she faces is what to do about a certain giant, orange squirrel. 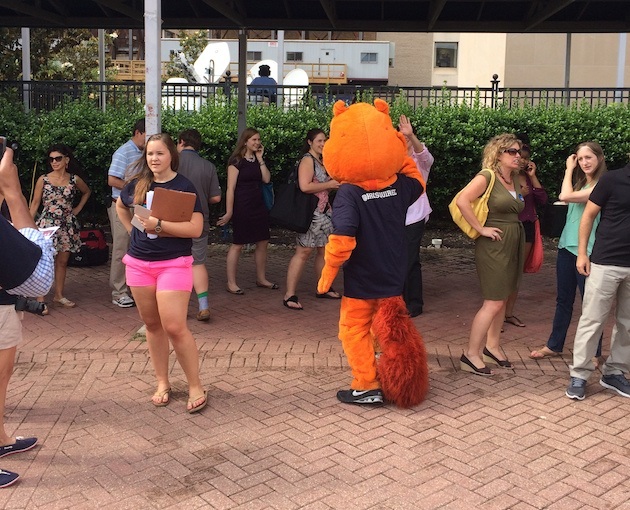 A man in a giant, orange squirrel costume, that is. 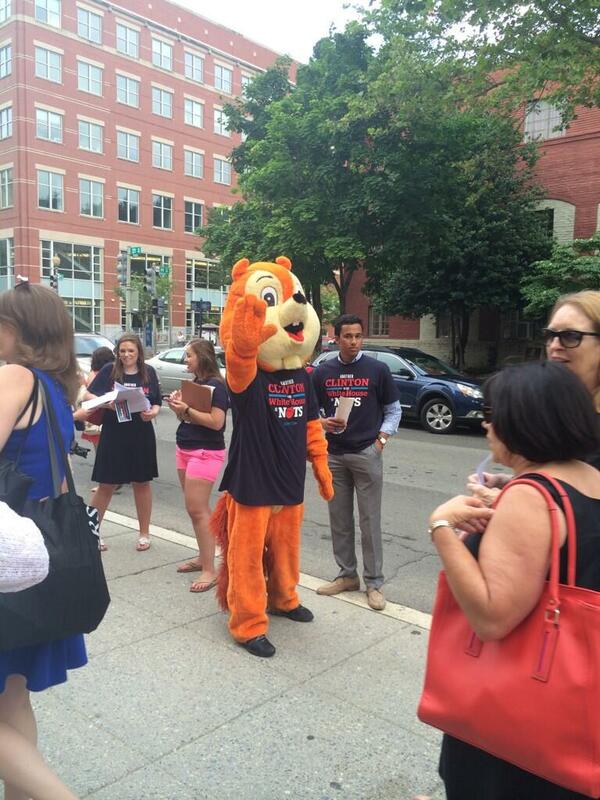 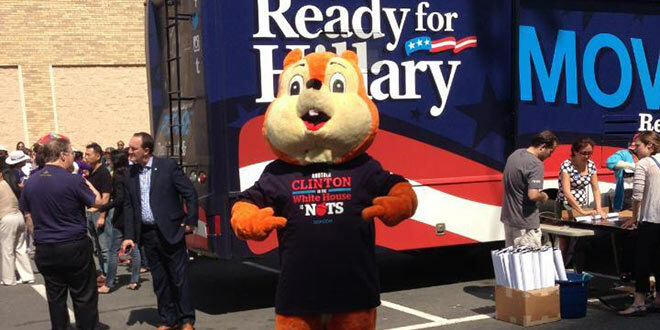 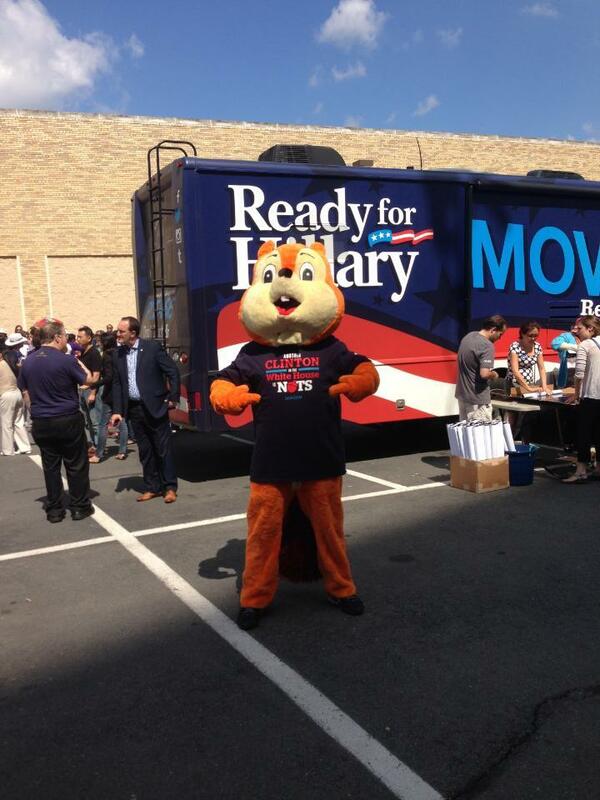 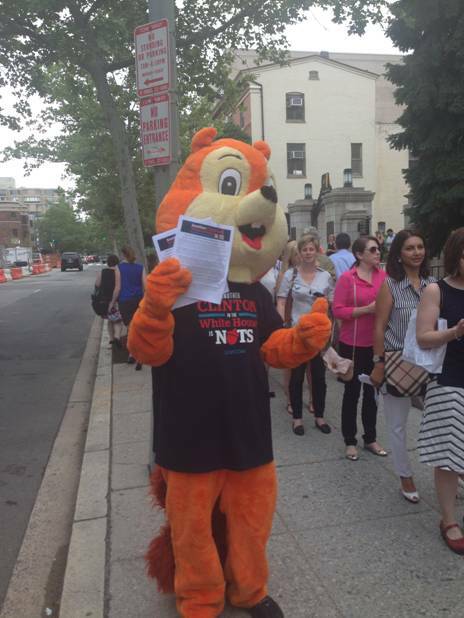 The RNC has tasked one of its interns with donning a furry squirrel suit and trailing Hillary Clinton’s tour bus like a Deadhead, stopping where she stops and joining in on the festivities—except that the squirrel’s agenda differs slightly from the former First Lady’s. 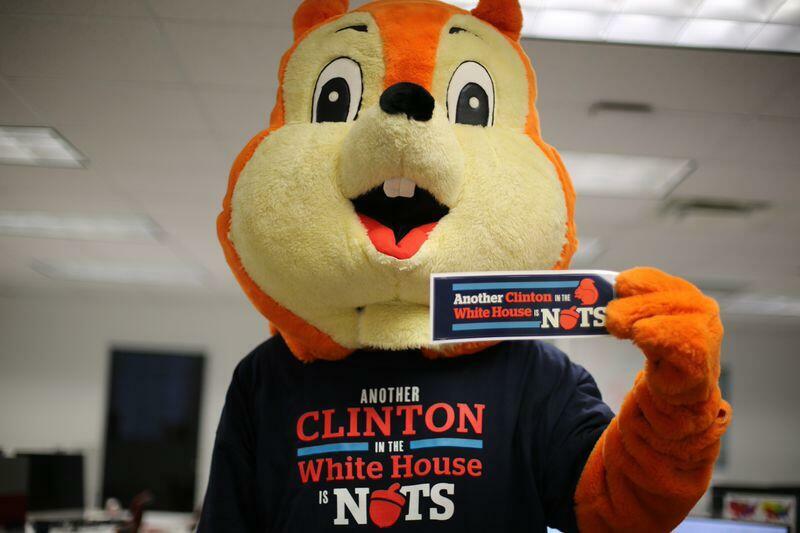 There's no question: Another Clinton in the White House is nuts!
. 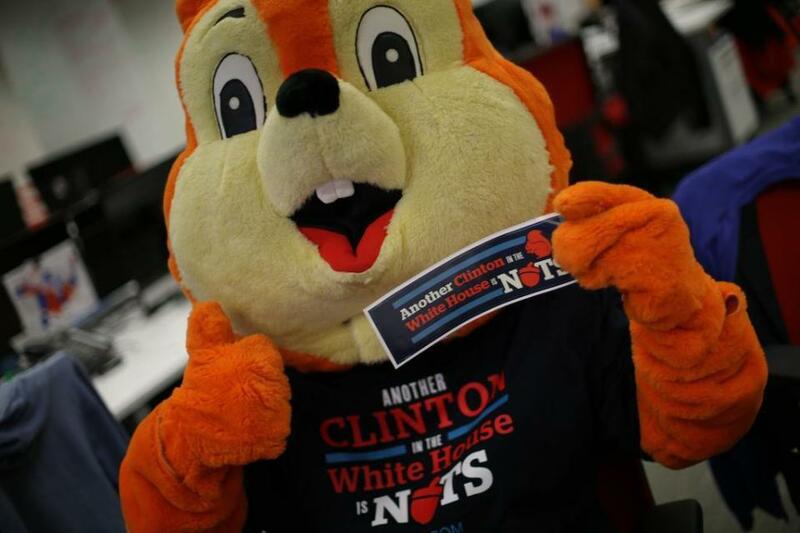 @TheDemocrats: Even I know not to put all my acorns in one basket.
.@HillaryClinton is trying to hide her record on #Benghazi the way I hide acorns.